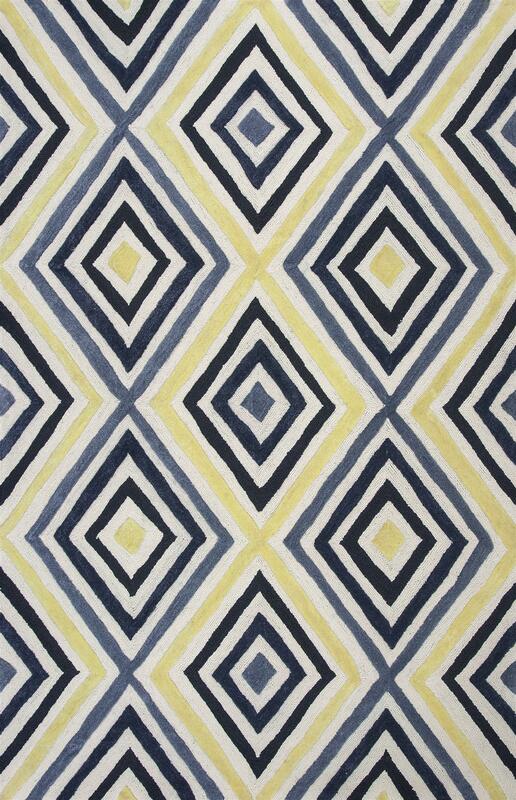 Donny Osmond Home Escape 7908 Ivory/Blue Dimensions 2' x 3'. Hand-Made of 100% Polypropelene with No Backing. Made in China. Vacuum regularly & spot clean stains. Professional cleaning recommended periodically.